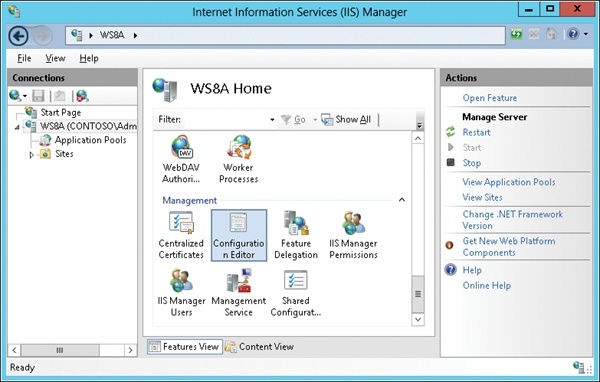 Although IIS Manager lets you configure many aspects of IIS, there are a number of configuration settings that are not exposed in the user interface. To configure these settings, you need to drill down and edit configuration files like ApplicationHost.config, the root configuration file that includes detailed definitions of all sites, applications, virtual directories, and application pools on the server, as well as global defaults for all web server settings. These configuration files are schematized XML files, and you can either edit them in Notepad (yikes!) 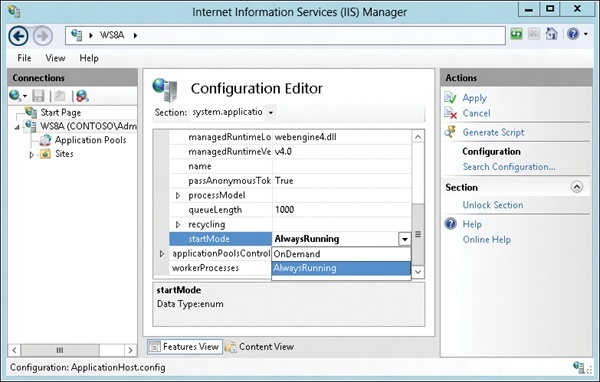 or use the Configuration Editor, one of the management features in IIS Manager. 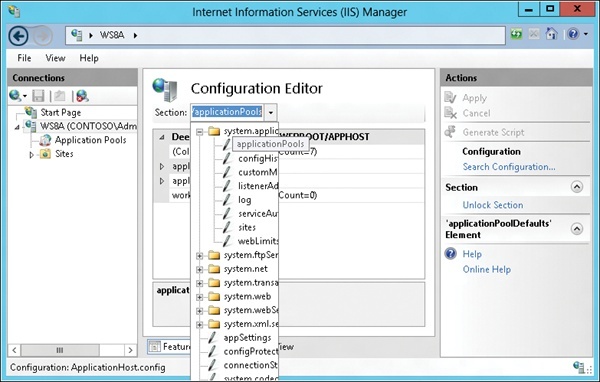 New in IIS 8 is the capability of using the Configuration Editor to generate a Windows PowerShell script for any configuration changes that you make to your server using the Configuration Editor. This capability can be particularly useful for cloud hosting providers who need to automate the configuration of large numbers of web servers because you can use such a generated script as a template for creating a finished script that can perform the task that you need to automate.